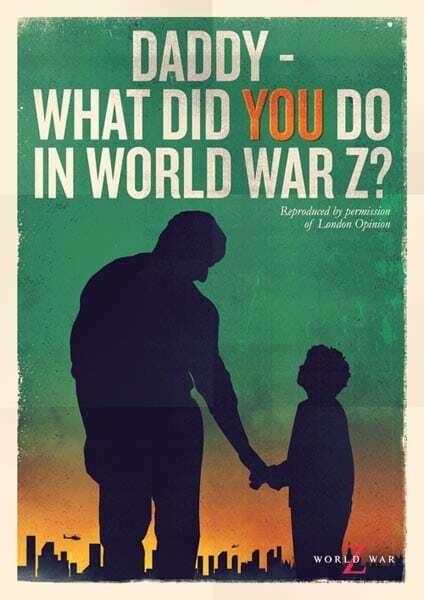 HomeNewsCheck Out These Five WORLD WAR Z Propaganda Posters! Check Out These Five WORLD WAR Z Propaganda Posters! Massive summer blockbuster World War Z is out on DVD and Blu-Ray right now, and to celebrate, Paramount have put together an impressive series of artwork, imagining what the iconic propaganda posters of history’s wars might have looked like across different countries, if the enemy had been ‘the hoarde’. Check out the rest of these cool poster below. WORLD WAR Z revolves around an ex-United Nations investigator Gerry Lane (Brad Pitt), who traverses the world in a race against time to stop a pandemic that is toppling armies and governments and threatening to decimate humanity itself. Starring Brad Pitt, Mireille Enos and James Badge Dale.